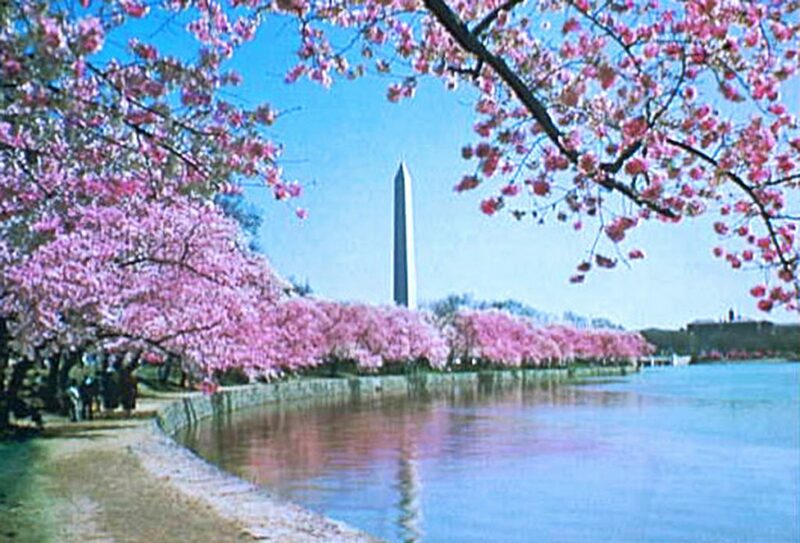 The cherry trees located along the Tidal Basin in Washington, D.C., are expected to be in full bloom the weekend of March 25-26. WASHINGTON, D.C. — The National Park Service says Washington, D.C.’s, famous cherry trees are blooming again after a killing frost. NPS spokesman Mike Litterst said in an email March 22 that the bloom period has begun and can last two weeks. He says officials expect the trees will reach peak bloom the weekend of March 25 around the Tidal Basin. Officials announced March 17 that cold weather had killed half of the blossoms on Washington, D.C.’s cherry trees just as they were reaching peak bloom. Warm temperatures in February had caused an early bloom for the district’s 3,800 Yoshino cherry trees, most of which are downtown, encircling the Tidal Basin. He also said that expected cold weather later in the week means the blooms won’t develop further then. Warmer temperatures needed for the blossoms’ development are expected at the end of the week. The famous cherry trees commemorate the March 27, 1912, gift given to the city from Tokyo Mayor Yukio Ozaki as a symbol of friendship between Japan and the United States. The National Cherry Blossom Festival, a monthlong springtime celebration that typically draws more than 1.5 million visitors to Washington, D.C., each year, began March 18 and continues through April.